Lagos State Governor, Mr Babatunde Fashola, SAN, has slammed the Independent Electoral Commission (INEC) over its inefficiency in distributing Permanent Voters Card in the state. He said it is the right of every registered Lagosian voter to get their PVC as the 2015 elections gets closer. The governor made his grievance known at Lagos House, Ikeja where he received the team from INEC comprising of the National Commissioner and state commissioner, who paid him a courtesy visit. He said the way INEC has been handling issues was beginning to raise public fears about the credibility of the electoral process. “The team can come out and make explanations to me as a person on what went wrong but it is difficult to give similar explanations to thousands and millions of electorates that are experiencing what I have experienced as Governor,” Fashola said. “The feedback the State Government have been getting across the State from the exercise is that there is no power, the generator has broken down or that there is no fuel and that the commission is doing twice what it should have done once and this is very unfortunate” he added. He therefore charged INEC to ensure that whatever they choose to do is done well. 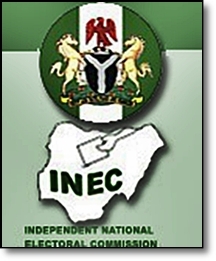 In his response, the National Commissioner from INEC, Ambassador Lawrence Nwurukwu said that the commission was surprised and worried that the Governor could not obtain his PVC on demand. He apologized for the shortcoming and appealed to the Governor and others affected to re- register, adding that before the middle of December, the problem would be resolved.